Last week I wrote about feeling powerless because my wife brought my son to the hospital while I was overseas. 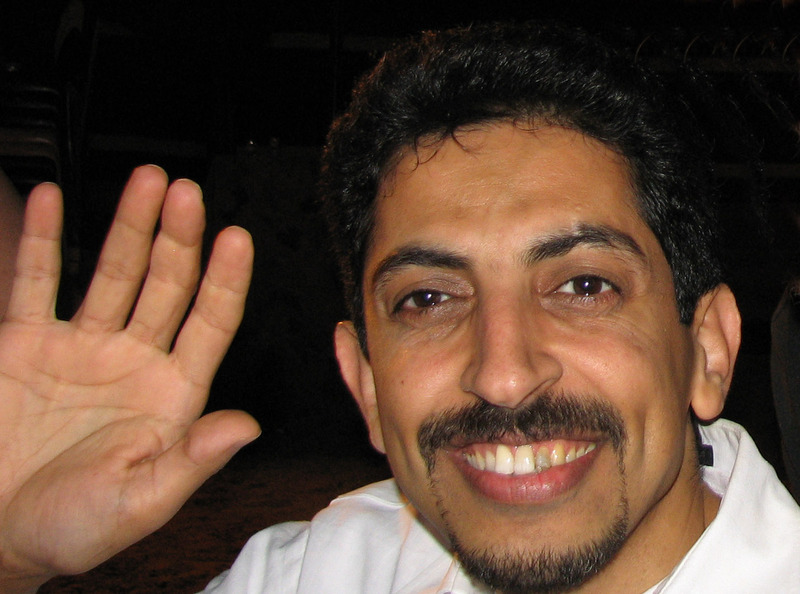 There was nothing I could do, and it’s much the same feeling I have now with the unknown fate of human rights defender and friend Abdulhadi Al-Khawaja. He’s been missing since he was beaten unconscious on the evening of April 9. There’s a part of me that thinks he’ll be fine; this isn’t the first time he’s been beaten up and arrested for peacefully defending human rights. But the situation for human rights defenders has gotten considerably worse in the past few months in Bahrain. The Bahraini regime has detained over 400 people in the past few weeks, 30 are missing, and four have died in police custody. The Health Minister went so far as to say that images of one of the deceased showing he’d been tortured was nothing but Photoshop manipulation. When told by a BBC reporter that he’d seen the body and the violence suffered by the victim was apparent, she said she’d look into the matter. The only positive – I mean, not negative – sign has been a delay in banning the two main political parties that represent the Shi’a minority. What that will mean for Abdulhadi and his family, and the hundreds of others who have been detained, I do not know. I’d like to think that it’s a sign that the government is bowing to sluggish international pressure condemning their acts. Perhaps his daughter’s hunger strike is creating the necessary pressure on the authorities as well. Whatever the government’s plan, detaining the protesters – 86 of them apparently released on Monday – will only lead to more violence on the streets. Events in Tunisia, Egypt, Libya, Yemen, Syria, and now Bahrain – have all or eventually will reach a tipping point. There will be no more going back. A rising tide of anger and desire for reform has shown itself to be unstoppable, no matter how entrenched the leader (replace that last word with despot, tyrant, or dictator – it’s just a matter of perspective). I rejoiced when Mubarak was ousted, not only for Egypt as a whole but specifically for the friends I have who live there and who’ve suffered under his regime for decades. Knowing I have friends who are part of the uprisings throughout the Middle East and North Africa brings the struggles that much closer to me. When it comes to Abdulhadi, however, my fears for his safety and the way he’s being treated now are dampening my hopes. His is a voice that must be heard. He must not be silenced. He speaks for those who want a change, those who are peacefully asking for reform. He is not a terrorist, as someone on Twitter ridiculously pointed out to me. He is a human rights defender, and he must be set free.